I'm so excited and honoured to be teaching in Book of Days 2019. I've been taking this course since it's inception and it has become part of my art journaling DNA. I'd love for you to join me on this transformational journey. Regstration opens on November 1st. Click on the button below to make sure you have access to the Early bird pricing. 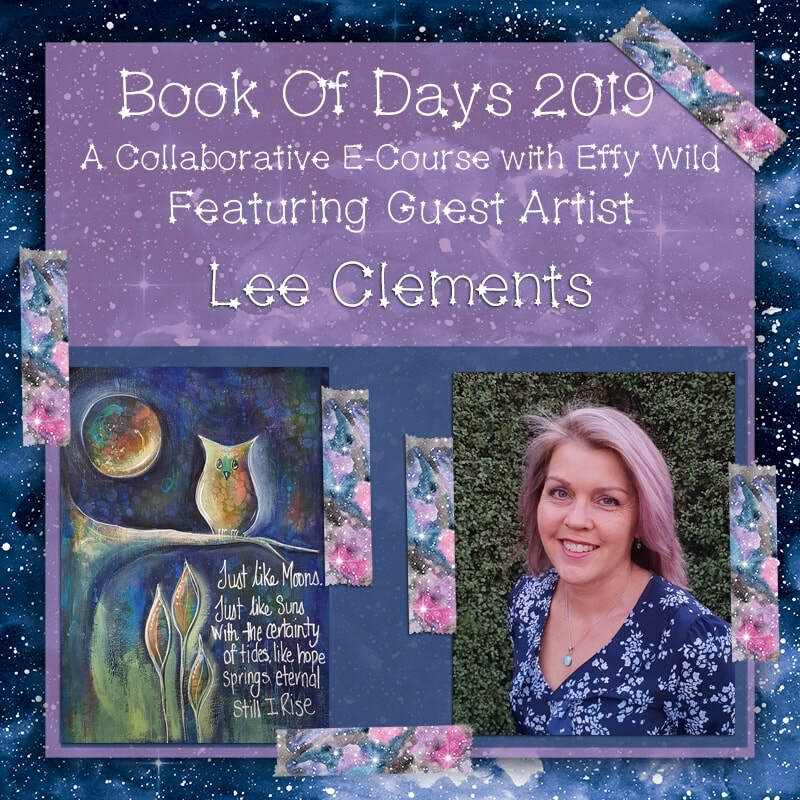 Book Of Days 2019 is a year long e-course by Effy Wild which will feature 13 ‘all star’ journal art teachers and at least 12 ‘rising star’ bonus teachers. This course is designed to immerse you in art journaling with new content going live at the beginning of each and every month throughout the year, including full length video tutorials by Effy and her all stars, bonus content by Effy’s rising stars, interviews, journal prompts, live virtual gatherings and monthly vlogs. Along with more content than you’ll ever need to sustain your own creative practice, you will be enfolded in a community of gorgeous, wildly creative, supportive journal artists who make building and maintaining a creative practice one of their priorities. Join us with instant access to introductory content beginning November 1st. Class begins in earnest on January 1st.